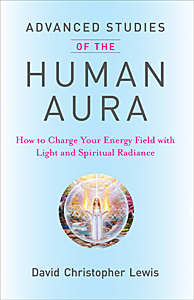 What Is the Human Aura? The human aura is a field of subtle, luminous radiation surrounding us and extending outward from our physical form. Auras are related to the electromagnetic field of the body and serve as a visual measure of our mental, emotional, physical and spiritual states. 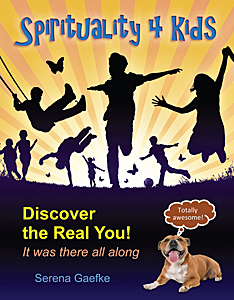 Everything that we do or think affects the aura so it is usually in a state of flux, ever changing, based on our mental meanderings and physical health. The aura is also affected by the energies of the environment, the forcefields of the planet and the radio frequencies that interpenetrate all forms of matter. The aura is an electronic signature of who we are. The colors of the aura may glow and radiate with joy and vitality as we maintain a state of blessedness in God. Or the colors may become dull, contracted and stultified when we are gloomy, when we allow ourselves to be depressed, when we complain or see life as less than beautiful. Appreciation intensifies the aura as the heart emanates a pink and golden sun-like radiance. And at other times when we put ourselves down or enter into the deprecation of others, the size and radiance of our auras lessen. Holding images and concepts of ourselves and others as less than whole also impinges on our ability to send out auric fields of light energy that bless and uplift. So it is always important to self-assess, to self-observe. What are we feeling? What energy or mood are we under? How are our feelings, thoughts, let alone our actions, affecting others? Are we joyous? Are we in harmony? Are we in balance? Diet has an effect on the aura. But more importantly, what we take in through our eyes and ears and what we think affects the strength and coloration of the aura. When we put our attention upon God and all that this term represents for us, the spinning of our chakras¹ accelerates and a resonance with the qualities of God begins to cleanse the aura and expand it. The chakras are like generating stations within us. Similar to the mitochondria, those organelle power houses which reside within each human cell, these stations of light can be a great self-regenerating focus. 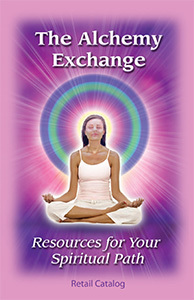 We can visualize our chakras daily. And as we focus on a specific chakra, we see its petals spinning and then accelerating in perfect symmetry and balance. We see the total radiance of these seven major generating stations expanding and blessing ourselves and all those who come within our sphere of influence. The quality of our prayers is dependent upon the quality of our heart, our consciousness…and, therefore, our aura. If we desire to be of greater service and effectiveness, if we desire to perform alchemical feats² for the good of mankind, we must first go within, self-assess and get in balance. We must attend to our chakras and bathe them daily in the light of God. In turn, their acceleration will create a rise and expansion in consciousness that is transformational. The totality of who we are is broadcast to the world through the aura that radiates out from us, even though most individuals do not see this aurora borealis-like light show around themselves and others. And if we desire to increase the beauty, intensity and size of our aura, it will certainly happen as we focus more and more on all that is positive, kind, compassionate, forgiving, just and loving. 1. Chakra is Sanskrit for "wheel” or “discus" and is used to denote a spiritual center seen only in the etheric body. There are seven main spiritual centers aligning along the spinal column, five lesser-known chakras in the heart, hands, and feet, and a total of 144 spiritual centers within the supra-physical body. 2. Alchemy, practiced in medieval times, was a forerunner to chemistry and refers to the pursuit of the transmutation of baser metals into gold or silver. In its esoteric context, alchemy is the science of spiritual transformation. According to the teachings of the ascended masters, it is the process through which the base nature of the lesser self is transformed into the permanent values of the Higher Self. Visit Our Most Popular Pages!